A middle-aged carpenter, who requires state welfare after injuring himself, is joined by a single mother in a similar scenario. 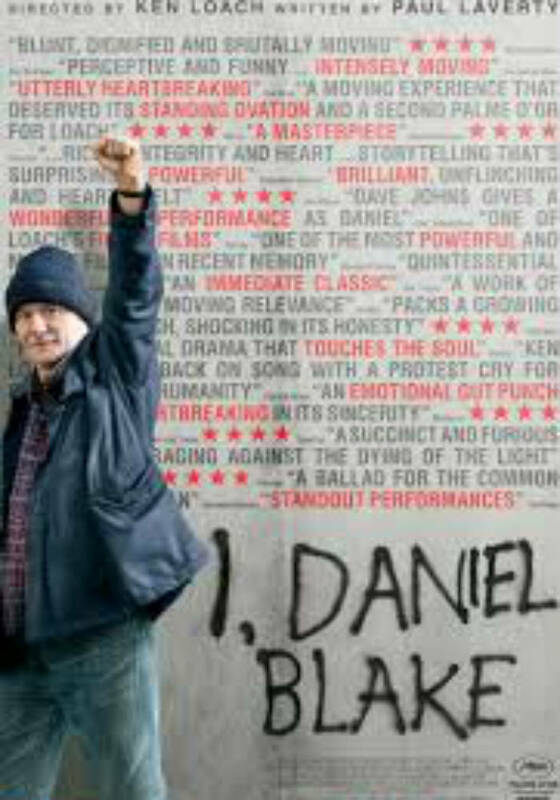 There’s a sense of despondency about Ken Loach’s latest film as it describes the plight of a decent man whose self-respect is throttled by bureaucracy. Paul Laverty, who penned Loach’s last film, Jimmy’s Hall, has not shied away from painting a heartbreaking portrait and Loach tells his story with great simplicity. There’s fluidity about the storytelling: Loach focuses on the small things, as we enter the world of Daniel Blake (Dave Johns) and the people in his life. The utter stupidity of the bureaucratic process for health care, unemployment and job seekers’ benefits is clearly showcased after Daniel suffers a major heart attack while on a scaffold working as a carpenter. Eager to get back to work but under strict instructions from his doctor that he is not ready yet, Daniel submits himself to the system as he applies for benefits that will keep him afloat. We can understand only too well the frustrations of waiting on a phone queue endlessly, trying to respond to irrelevant questions and shunted from process to process as he tries to co-operate and follow every instruction. His friendship with Katie (Hayley Squires), a young single mother with two young children, begins at the unemployment office; she is being treated with the same disdainful attitude. The development of this friendship forms the heart of the film; Daniel puts aside his problems, picks up his tool kit and helps Katie not only to fix up her house, but offer her badly needed emotional support. The emphasis shifts to Katie’s life and problems; the scene at the food bank when she is unable to control herself, is extremely touching. Desperate times require desperate measures and Katie is faced with difficult decisions. We start to learn more about Daniel: he tells her about his deceased wife Molly and we can imagine her clearly from his description. She was far from perfect, but he ‘loved her to bits’. The counterproductive nature of the bureaucracy that is supposed to assist, not hinder people in need, is clearly showcased. Soon, Daniel too, becomes more needy and desperate as bills mount up and the options diminish. The moment comes when he cannot accept the ludicrous process any more: his desperate stand is one of dignity. Loach’s film tells a tragic tale. The simplicity with which he tells his story about an ordinary man is his calling card.